Our indoor and outdoor activities are great fun for children and caregivers alike. While we provide a variety of structured and unstructured ideas here, we encourage you to use your imagination and be creative with our fonts! Practice Everyday Playful Muscle Awareness! Children of different languages, including dual-language learners, learn to share their ABCs and word building fun as they write with their bodies as letters. This team learning approach quickly has kids sharing English, while also getting a flavor of their other team member’s language sounds and words. Exercising with their playmates, classmates, family, and teachers greatly expands the learning and fun (a physically active social networking tool — kids even get the non-verbal chimps to network!). 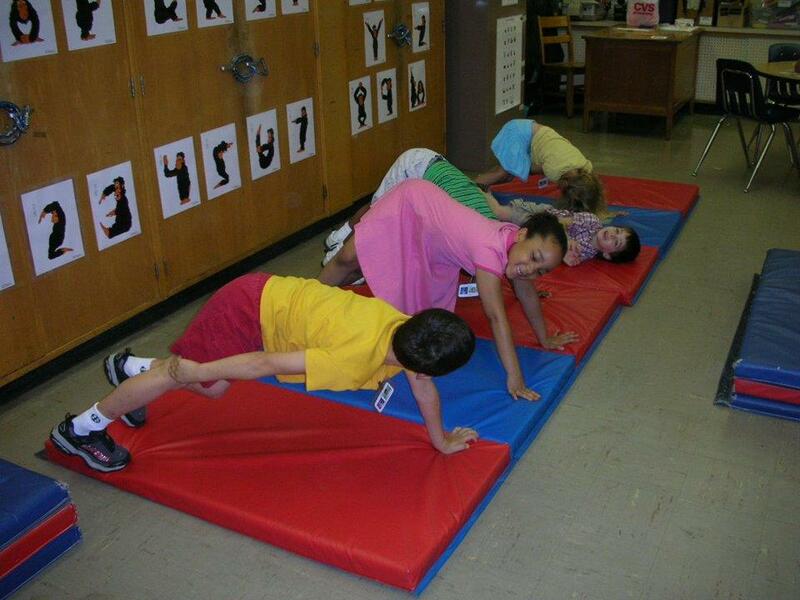 Exercising letter learning and word building with their bodies is perfect for children with special needs. They are itching to move to get rid of some of their body’s built up tension and physically play with their classmates and friends. The First Teacher-Student-Family Team Fitness Bees! Have teams spell out simple names, animals, sports and theme related words or sight words. 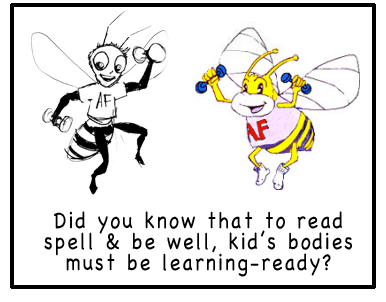 This way they get their bodies fit for spelling! Even include Alphabet Sprints and Word Relays for the older children. These are great activities to integrate children of various levels of motor skills and communication abilities. Try out our Alphabet Marathon® Fun-Run Training Routines! Fun for All Sized Bodies! Wellness, Inc. has been a proud advocate of the Presidents Challenge Program. 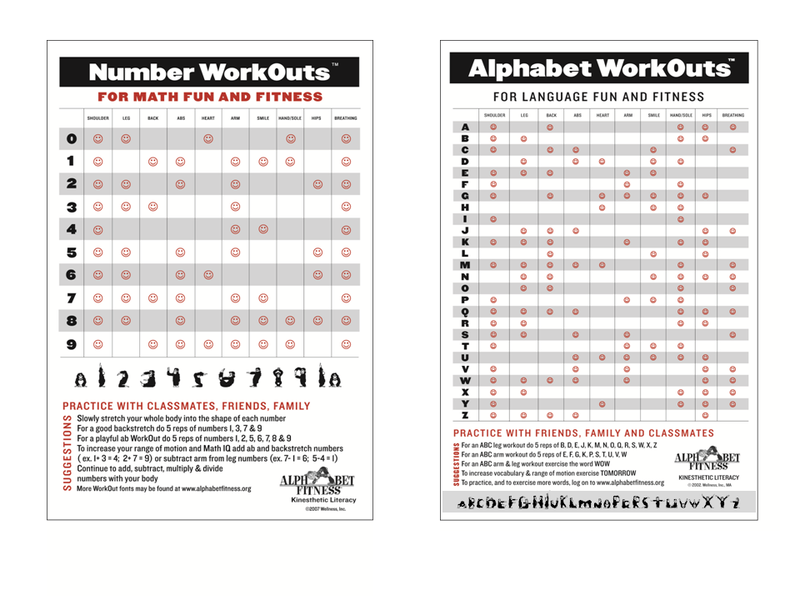 Alphabet Fitness activities are an excellent way to prep teachers and children to team up for fitness and literacy.